Safety and Traceability in the Food Chain. Powered by Blockchain - Infosys Consulting - One hub. Many perspectives. 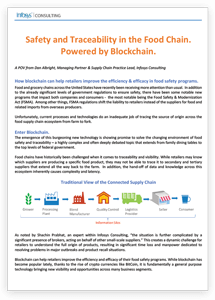 Safety and Traceability in the Food Chain. Powered by Blockchain.